MADONNA Do You Need More? – The Extra Collection With 22 Rare Gems! 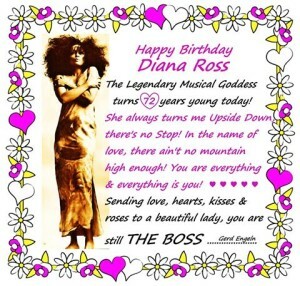 12 Best GEEJAY2001 Mixes – Happy 72 Years Young DIANA ROSS ! We the fans celebrate the life of one of the most enduring legends in music: Miss Diana Ross. Happy 72 years old, Diana! I took the liberty of using this amazing picture created by Geejay2001. Besides loving Diana he is really talented. These 12 mixes created by Gerd are simply the best tribute to this lady. Thanks Diana, Thanks Gerd. For making our lives better. Greatful.